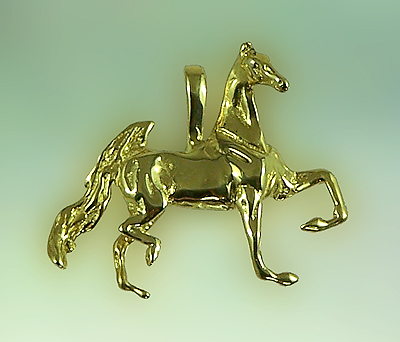 Saddlebred Pendant, the Gorgeous Horse is your source for custom made Saddlebred jewelry. Look at this beautiful three gaited Saddlebred with an animated rack, this is how we do it in the ring! Dimensions: 1 1/4 inches wide by 1 1/8 inches tall.